Looking to update your home with something new and exciting? We have the perfect new trend for you – GOLD! Gold has been around for centuries, giving the look of prestige, elegance, luxury, and glamour. Being seen in early currencies to modern day jewelry, we are excited to see the home interior industry has caught up. 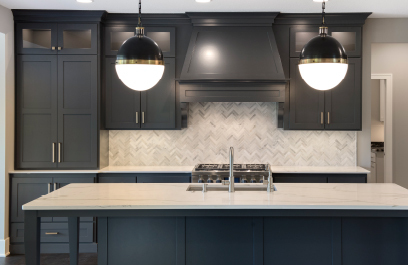 With polished chrome and brushed nickel being most commonly used in new construction homes, and more recently flat black, pewter, and oil rubbed bronze added into the mix, the market is ready for this new look! Below are a few great places to add a touch of glamour in your home with gold accents. 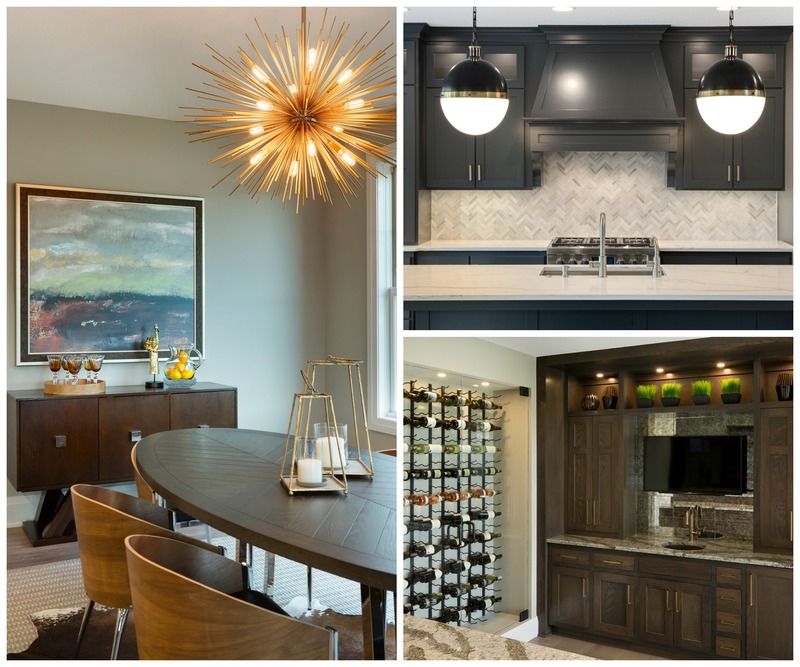 LIGHT FIXTURES – A great way to lively up your space is through your lighting. What better way to incorporate this new trend than to update your lighting with gold finishes! HARDWARE – Cabinet or door hardware both can add a level of sophistication in a small way throughout your home. PLUMBING FIXTURES – Who wouldn’t want to wash their hands under a gold finished faucet like these! ACCESSORIES – If you aren’t ready to incorporate gold in a major way, like the items listed above, start with some accessories throughout your home. Swap out your throw pillows, table lamps, end tables, knick-knacks, frames or other small accent pieces to give a nice new pop of luxury throughout your home. You might love the look so much that you will be inspired to add gold in more applications throughout your home! You’ll notice from these photos, that the gold trend isn’t the polished brass you used to see in the 90’s, but instead more of an antique brass or champagne bronze which shows a more muted gold look. This subtle accent is a perfect finishing touch to add glamour to your home, and has proven time and time again that it works for every style.